There’s so many methods and print techniques that we use in our shop when it comes to an eco-friendly shirt. Keep reading to see the unique print processes we used to make these t-shirts one-of-a-kind and eco-friendly, all of which support their mission. Everybeing is an organization built around raising funds for organizations working on conservation efforts that are helping stop the sixth and support endangered species in need. Everybeing features a different endangered species every month using different local artists for their artwork. It’s the perfect collaboration! Instead of using a plastic-based ink to print the design, we switched to a water based ink that’s free of plastics, PVC, and eco-friendly. Everybeing also wanted the design to be metallic gold, making these tees extra premium! Each month, Everybeing features a new endangered species and prints a limited number of shirts based on how many animals are left within that species. 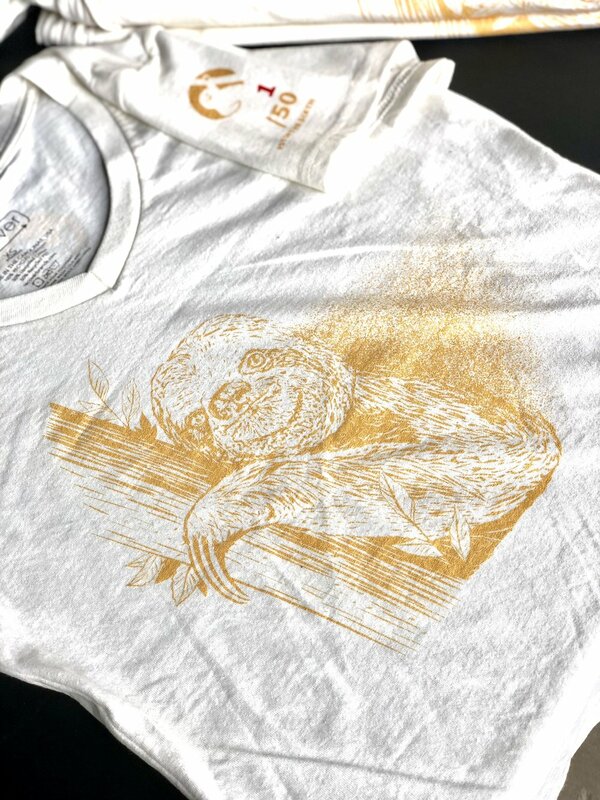 The pygmy three-toed sloth was the highlighted animal for Everybeing’s launch, with each sleeve numbered 1-50. 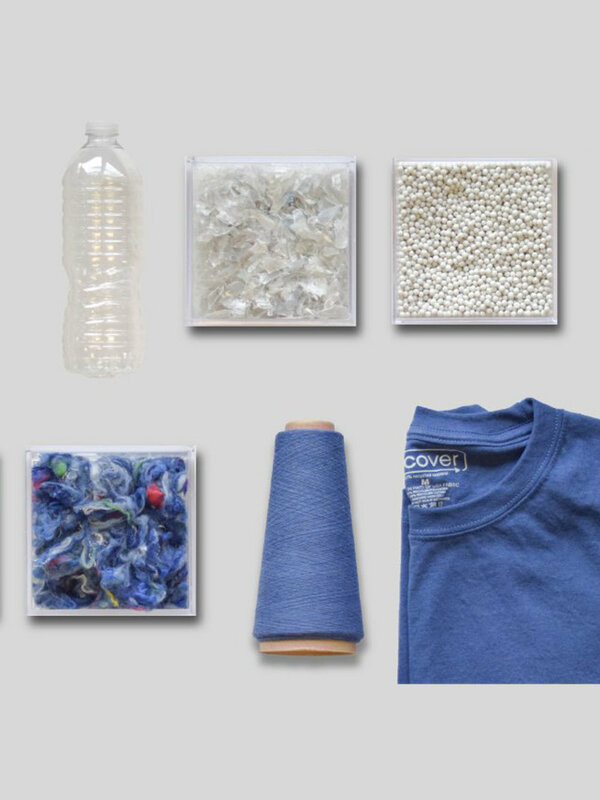 Every Everybeing shirt is printed on a Recover tee, a shirt made using 8 chopped up recycled plastic bottles, melted into a new fiber, blended with upcycled cotton, and spun into yarn. We keep it green in the shop everyday by using an eco-friendly line of cleaning products to clean our screens. We also have a state-of-the-art filtration system that filters out leftover inks and emulsions. And there you have it! A t-shirt printed using methods that are good for you and the Earth. Our catalog has other Earth-friendly shirt styles, including organic cottons, that come in a variety of colors. Contact us today for an eco-friendly tee. Don’t forget to visit Everybeing to learn more about their mission and to make a donation by purchasing one of these sweet tees!